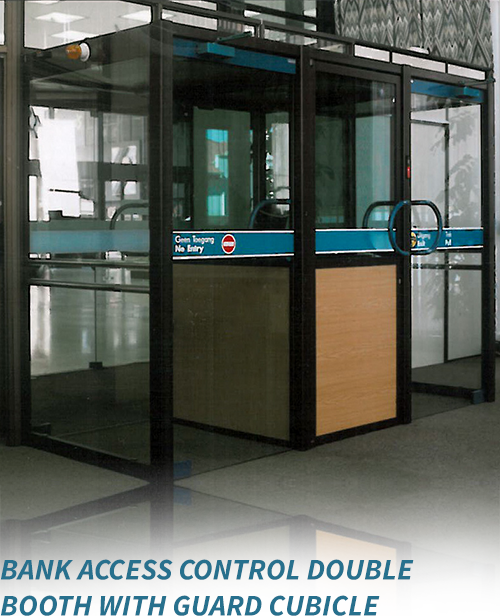 Flow Systems access control booths, cubicles and mantraps are designed for maximum impenetrability and to automatically guide personnel in security areas. 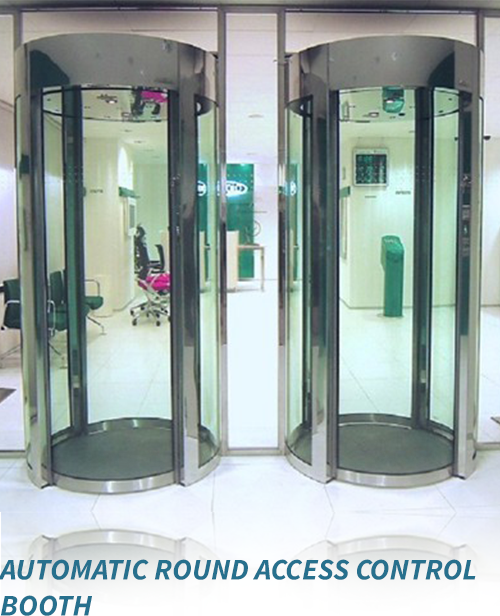 The approachable Flow Systems team will design, manufacture and install access control booths, cubicles and mantraps to suit the visual appeal and functionality requirements of clients. Our extensive experienced team will ensure the installation is completed to the security and design specification with systems fully integrated for ultimate peace of mind. 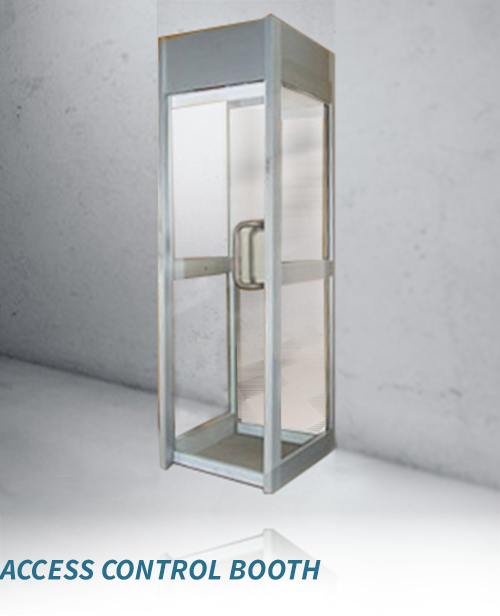 Model MOD has manually operated doors, which from a locked position, unlock by means of a signal from an electrical remote control, card reader, etc. 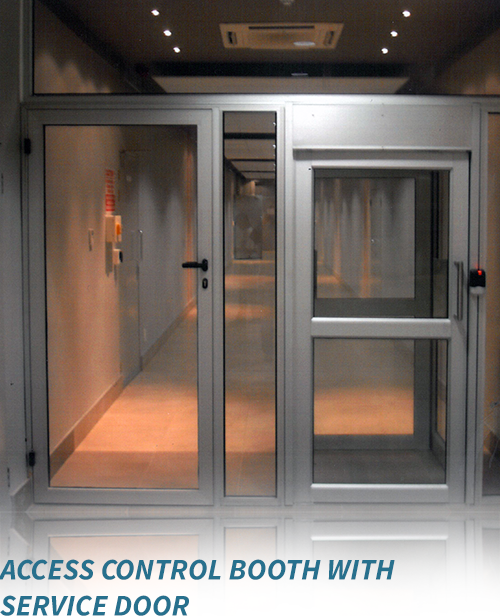 The door is opened manually and closed automatically by means of a “non hold open” door closing arrangement with adjustable closing speed. 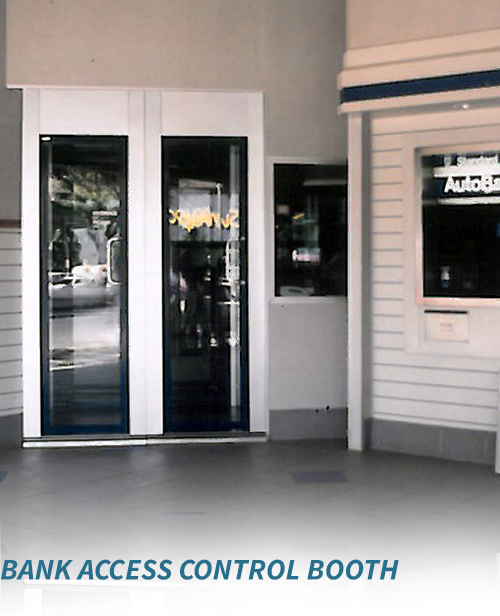 The doors are fitted with push/pull handles and are locked with two electro-magnetic locks. 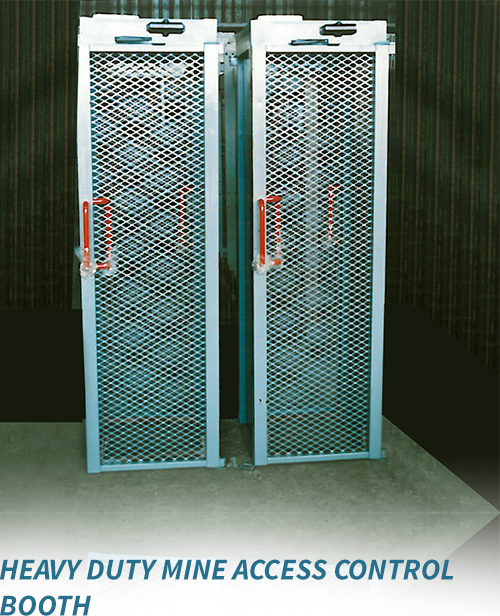 Model EOD has similar features, except that door opening, closing and locking is automatically controlled by electrical operators. The open/close interval is approximately 4 seconds in the case of models EOD (i.e. 8 seconds in total). In the case of the MOD model, the operating time depends largely on the user. 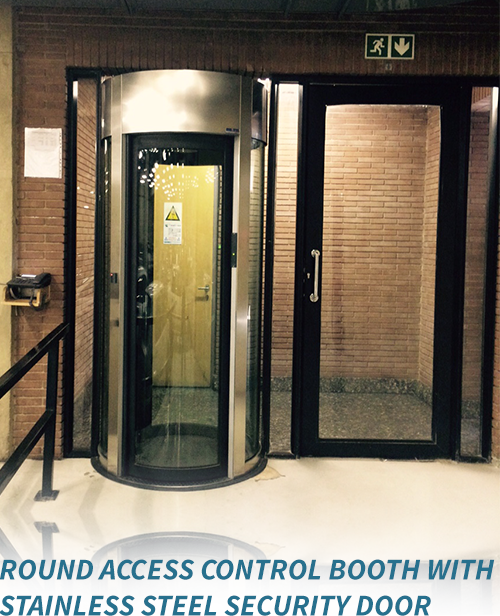 Model MOD will, and EOD can, unlock both doors in the case of electrical power failure. Interior sensing devices monitor the user’s presence. Standard Flow Systems logic is supplied to the interface with cubicle operating components. Controls, Card reader, can be supplied by ourselves or other contractors. Units are manufactured from fully welded, low carbon steel construction with polished stainless steel, aluminium or powder coated finishes. 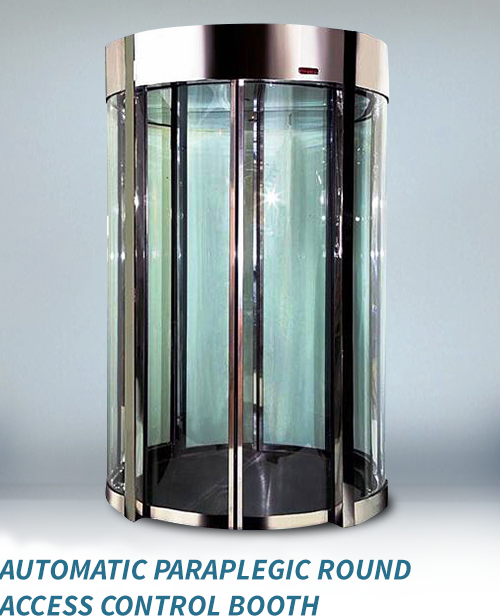 Glass on door and sides is of 6.35mm – 19mm clear laminated glass or toughened armor. All units are completely assembled and factory tested, minimizing installation time. Units are designed to be floor surface mounted. A finished leveled surface with strength of 20Mpa is required, suitable to accept m10 x 100mm H.D. anchor bolts. The cubicle mass varies per model 200kg to 1000kgs. Electrical requirements are 220VAC 15A 50Hz.